Interesting night, this last one. I was deep in sleep when I heard explosive pounding near my room combined with drunken, belligerent shouting. I threw on some pants, found my glasses and opened the door to get a brief glimpse of a man exiting the hotel. The door of the room next to me had been on the receiving end of his fist and the hallway was littered with fragments of the pressboard door. I’ve got to start spending more on my accommodations. It was a cool, beautiful morning. The verdant mountains of “Canyon Country” were draped with bloated, low hanging cumulous clouds. Mottled blue sky and sunshine attempted to make their way through with infrequent success. Because I am off the ACA maps, I’m relying on my state road map and directions from others to find my way. I’ve tried the new Google bike map feature, but found it to be of little value (or reliability) given it is still in beta and requires more user input. I stopped at a Starbucks and the barista gave me directions to a new connector road that took me past the Six Flags amusement park over Interstate 5 and in the direction of Santa Paula. Except for the heavily trafficked four lane highway, the ride was pleasing and became even more so as the day continued. 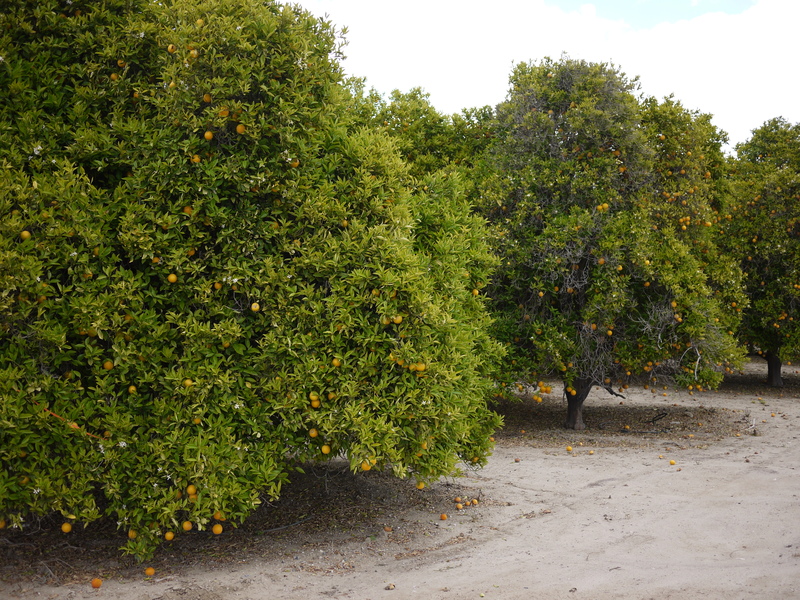 On either side, orange tree orchards lined the road for miles – a Napa Valley of navel oranges. The last seasonal bouquet of orange blossom remained like an elderly, heavily perfumed, woman exiting an elevator. 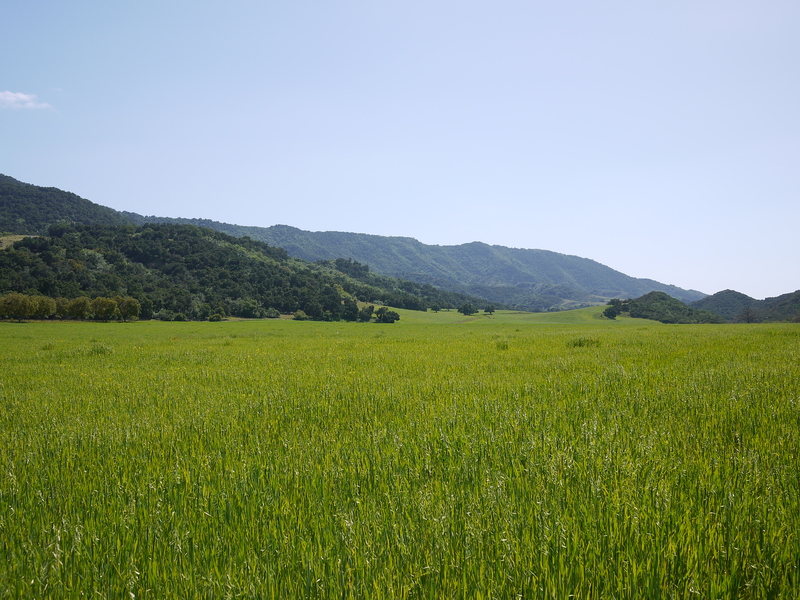 Along with the scenery, it made for an intoxicating few miles as I rode through Piru, Fillmore and into Santa Paula. I locked my bike against a street lamp and took a break in Santa Paula to stretch my legs. From the perspective of my brief visit, this is a good example of a small, diverse, but healthy community. Santa Paula’s downtown section has beautiful murals and outdoor art, clean parks, a mixture of interesting shops and celebrates its history. The small, but excellent, Santa Paula Oil Museum is an example. It contains exhibits covering the production, refining and transportation of oil, as well as equipment from the first discovery of oil in California in 1867 only five miles from town. Although I’m not sure of the connection, the museum also had a special exhibit on wolves containing beautifully realistic examples of the Mexican, Arctic, Rocky Mountain, Great Plains and Red Wolf – all native to North America. 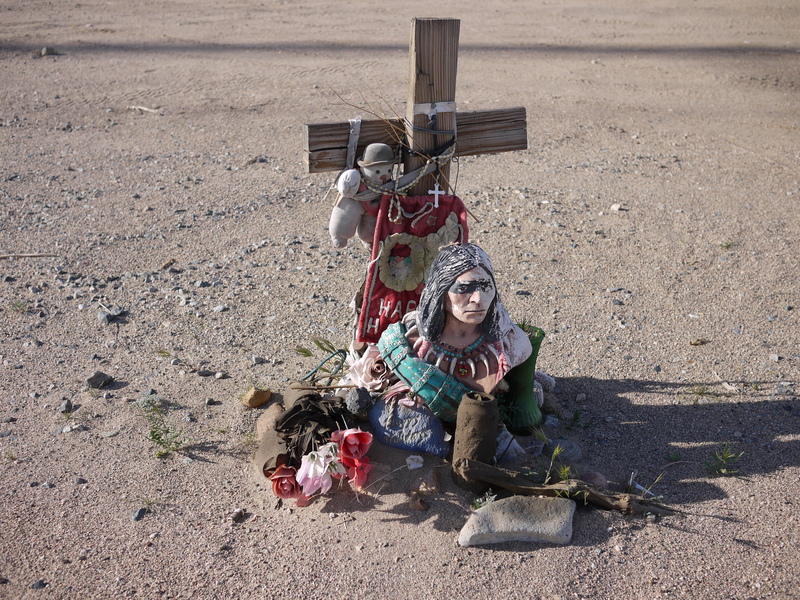 The town also has a statute to memorialize the 1928 failure of the St. Francis Dam that killed more than 450 people. I remember reading about this years ago in Marc Reisner’s book Cadillac Desert (which should be required reading for every California citizen). It’s one thing to read about an event almost a century distant. But, to realize that the resulting flood drove twelve billion gallons of water from Santa Clarita over much of the route I have covered in my hours of riding today was horrific to imagine. As I headed back to retrieve my bike, I was attracted by a display in the window of a store called “Exotic City Empire” and stepped inside. Despite its name, the store has a broad mix of many things reflecting the Hispanic style and culture, including old LPs, hats, jewelry and shirts. 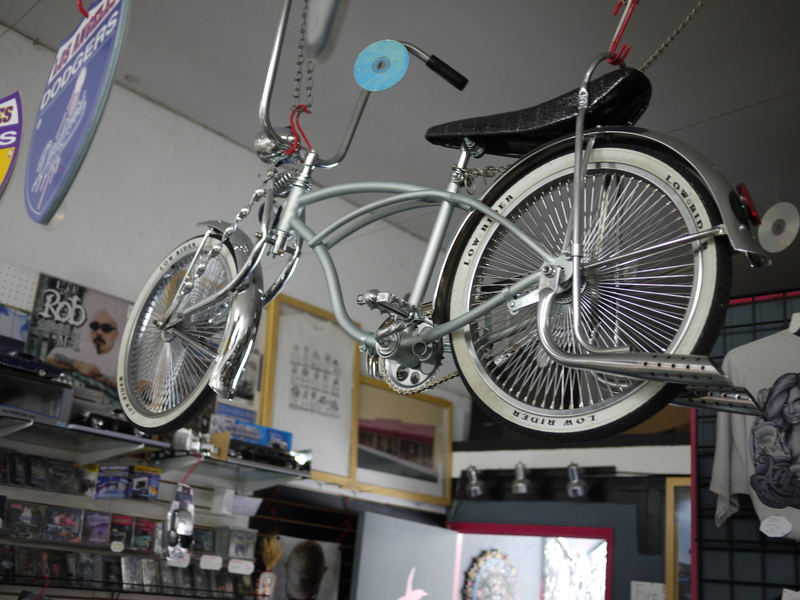 What interested me; however, were the custom “low rider” type bikes made by the owner, Hector. He started building these only four years ago and now has a local club with over seventy others who have similar bikes. The creativity and quality of his work was wonderful. Leaving Santa Paula, I turned onto Hwy 150 and headed toward Ojai. It was here that I started to sense that I am finally “home” in Northern California. One of the things that you notice when you are moving at a cyclist’s pace is the change between different life zones. 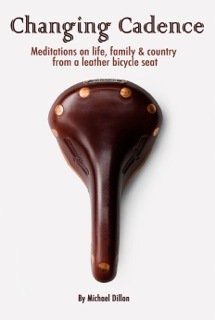 From the window of a car, it is a seamless blur, but from the saddle these transitions are like chapters in a book. A few days ago, I was in the lower Sonoran zone with Saguaro everywhere. 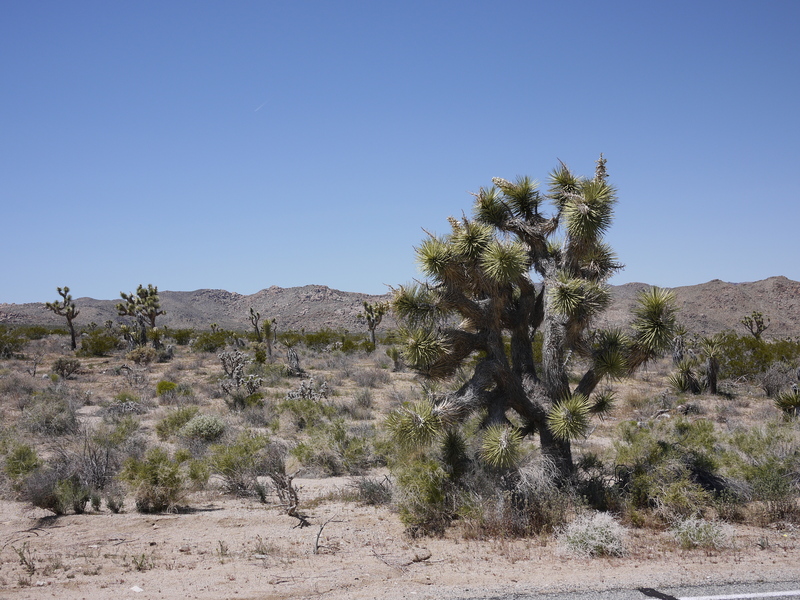 This changed into the Mojave zone represented by the Joshua Tree. 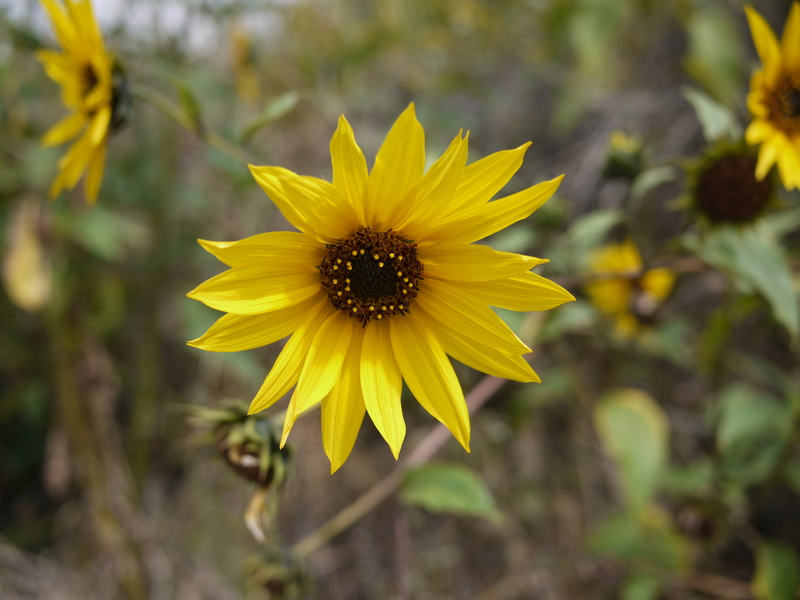 And, now, along this windy, bucolic two-lane road, I’m increasingly seeing Sunflowers, Miner’s lettuce, Valley Oak, Toyon and Salvia “Gracias”. I rode toward the summit enjoying these old friends, reminders of home, and the warm sun on my back. Fifteen miles later, I had a spectacular descent into the Ojai Valley. Like a forgotten reflex, I found myself in a full tuck racing down the road, cutting the corners and enjoying the banked turns before realizing that I was on a fully loaded touring bike and not my road bike. I’m looking forward to a boring night’s sleep. I would like to go on record and say that I most emphatically disagree with the sentiment expressed above. I pulled out of the hotel this morning, but the magnetic force of the Winchell’s Donuts across the street sucked me in. (And, yes, for those of you counting, I did it add it as fast food above.) While enjoying my belly buster and a cup of Joe, I looked at the map and decided to follow Route 66 through Antelope Valley toward Palmdale. Of course, since it isn’t marked as Route 66, but a series of different roads, I had to stop periodically to ask for directions and ensure that I was on the right path. One of those stops was at an AM-PM Mini-Mart a few miles beyond Victorville. I picked up a Gatorade and brought it to the counter and asked whether I was on the right road. The clerk was uncertain, but a customer chimed in with what he thought was the correct directions. He was in his mid-20s, wearing a slouch hat, gold earrings, black Ray-Ban shirt and chewing on a toothpick – looked a bit like a younger version of Snoop Dogg. “Ya goin’ there on your bike?” he asked. “Hopefully, depending on the headwinds,” I replied. “You the man, homeboy,” he said in smooth voice. “Ya goin’ ta lose a lot of weight if you ridin’ all the way there!” he exclaimed. At that, all of the sudden everyone in the store started speaking at once, offering me directions. I couldn’t keep track of all the different routes recommended or understand the differences, so I thanked everyone and took my drink out to my bike. As I did, the same guy followed me out and stood next to me, as I was getting ready to go. “Why?” he asked with his hands outstretched. “Why ya doin’ this?” he said. At that, he looked at me for a few long moments, shook his head slowly and walked to his car without another word. 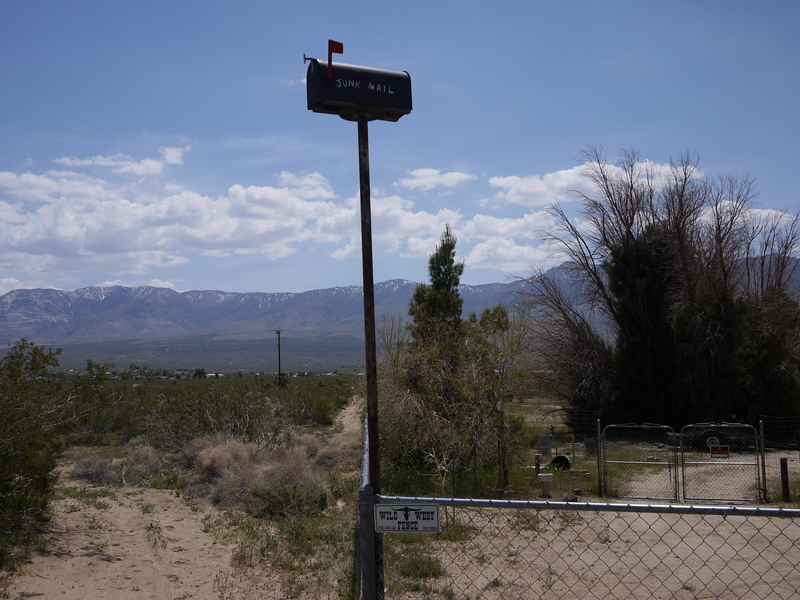 From there, I skirted the edge of the still snow capped San Bernardino mountains to the south and new housing tracts to the north on a shoulderless road with truck traffic everywhere. Near Llano, the road was newly surfaced with room for cyclists but, of course, that is when the wind hit. The forecast had been for strong winds, but I had no idea how forceful they would be. The difficulty with headwind isn’t just inefficiency, although that is a big issue. When I rode directly into the wind today, my speed dropped 40% or more. The bigger issue is psychological. The relentless sound of the wind drowns out everything, including the iPod. After a couple of hours, it starts to wear you down mentally; so, I tried to take a break whenever I could. 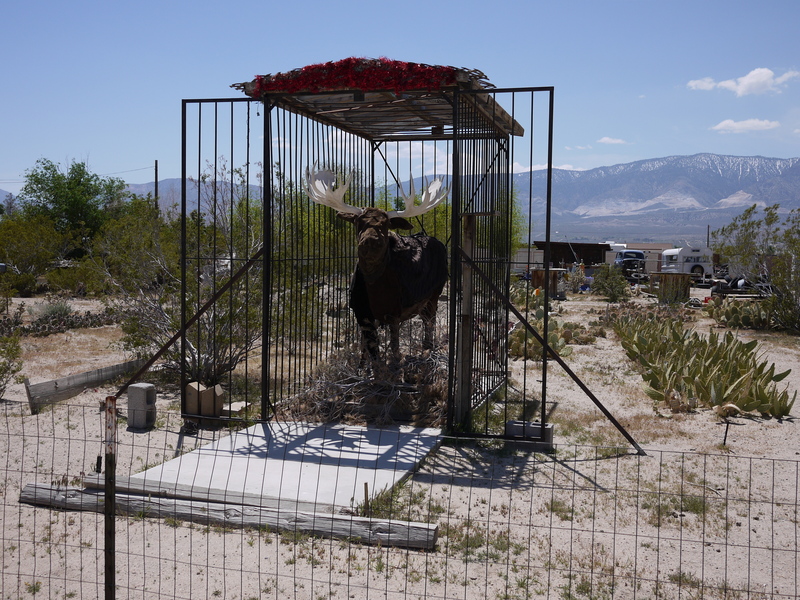 Near Littlerock, I stopped at a tourist place called “Charlie Brown’s Farm” and ate a buffalo burger (they also offered venison, turkey and ostrich) and tried to give my nerves time to regroup. 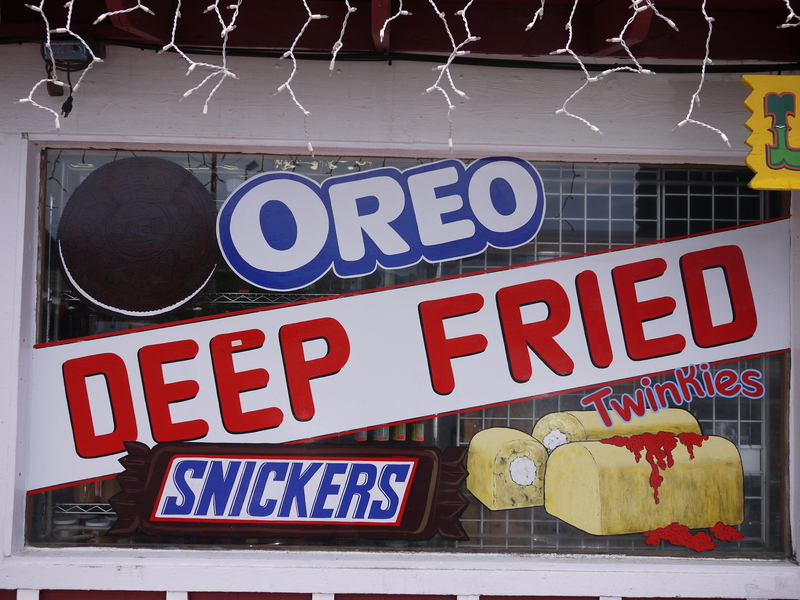 I was tempted by the deep fried Oreos, but decided against it given that I still had 40 miles of riding left. After lunch, I spoke to a bread deliveryman and asked him about the road to Santa Clarita. (I’ve found that they, along with FedEx and UPS drivers, are great sources of route information.) He advised me to take the Sierra Highway/Soledad Canyon Road, which was great advice as it turns out that Hwy14 doesn’t permit cyclists. As the road pulled out of the canyon and crossed under Hwy 14 toward Santa Clarita, the full force of the wind slammed me. My face was pelted by sand and dust and trash was frequently blown into my spokes. I wasn’t riding anymore; it was more like wobbling. I was just trying to stay upright. Over the next 15 miles, the wind continued to strengthen. On the news tonight, it was reported that it hit 25-35mph and will be worse tomorrow. I decided to get going early this morning to beat the heat. The forecast was for the high 80s with a slight wind from the west. 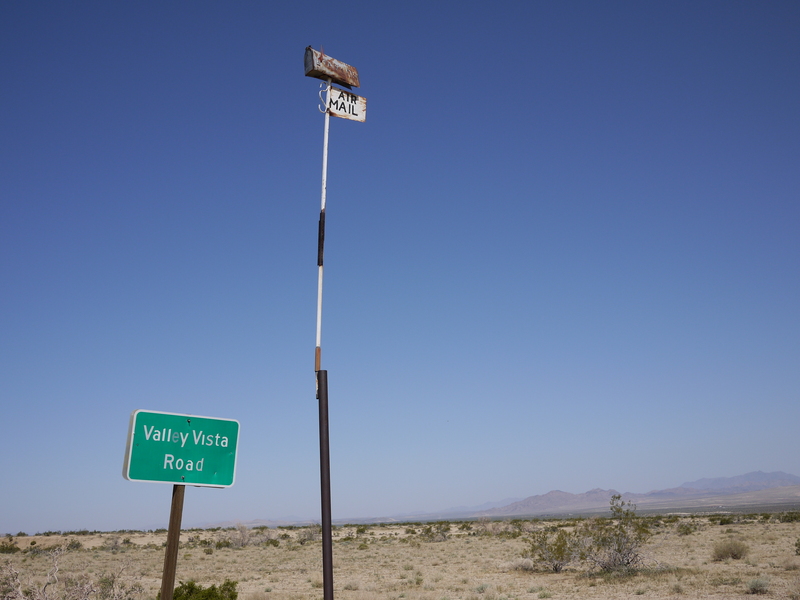 As I rode out of Yucca Valley, I was surprised by the 30 minute, 8% climb right out of town; however, in hindsight the word “Valley” in the name should have given me a clue. 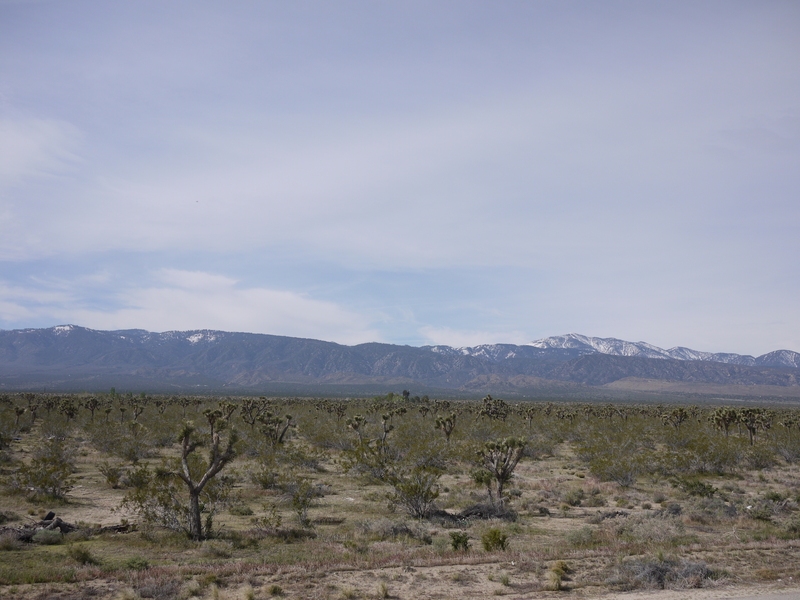 Once I topped out, it was nothing but miles of desert with Joshua Trees and little else. In a few places, I passed through small communities with homes, junkyards and feed stores scattered along the horizon. The route consisted of steep rolling hills; at times some would include short climbs of 16% out of the arroyos. There was no shoulder on the roadway, but traffic was light and the trucks polite, frequently moving to the other lane to give me room. Many of these were carrying freshly cut bails of hay. I grew to enjoy the sweet, moist scent that would trail these trucks for long distances. 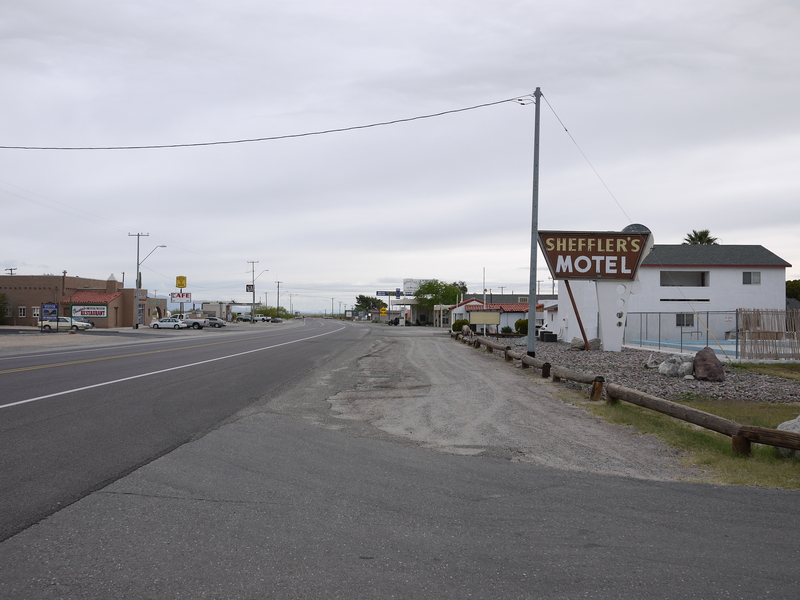 When I reached Victorville, I turned south on 7th Street, which is part of old, Route 66 and checked into the only hotel I could find. After a quick shower, I went in search of dinner. The hotel clerk pointed me to a rib joint, but it was closed. There was a Mexican place nearby, but after my experience yesterday, my stomach wasn’t up to it. After walking a mile or more, I found an Italian restaurant in a strip mall that advertised pasta, salad, lasagna and pizza by the slice. I walked in and asked for a salad. The cook (and only employee) responded: “No salad.” I then asked about the lasagna. He responded: “No lasagna”. So, I decided to go with a couple of pieces of pizza. His response? “Only sell medium pizza”. To which I asked: “Can I get it with tomatoes, olives and peppers?” He replied: “Only pepperoni”. I looked at him with incredulity and then my stomach got the best of me and I found myself saying: “I’d like a medium pepperoni pizza, please”. “Good choice” he exclaimed. And, at that moment, I realized that John Belushi (“No Coke, Pepsi”) had been reincarnated as a Middle Eastern cook working in an Italian restaurant in Victorville, California. Although the ride today wasn’t the most interesting of the trip, it wasn’t without its moments of whimsy. Knew the taco tasted strange. I awoke this morning from a terrible sleep, not because of the scorpions, but because last night we had a fellow camper playing guitar with a group of his friends. He was quite a talented musician covering everything from jazz to blues to country. Unfortunately, he decided to start his “concert” at 1am and he played for almost two hours. With my earplugs in, I managed to fall back asleep until 4am. That’s when I was awakened by a couple in a nearby RV in flagrante delicto. It was loud, lengthy, energetic and evidently filled with religious meaning as there were frequent calls to the Lord. If I hadn’t been so tired, I would have walked over to their rig and given them a big round of applause for such a conspicuous performance. It was really quite impressive and, evidently, I wasn’t the only one in the audience. When I walked around the campground in the morning, I heard many others joking and smiling about our early morning wake up call. Drama and I enjoyed breakfast, our last meal together, and then he headed south toward Palm Springs. In his short time riding with me, he experienced about everything, with the exception of a dog attack, but we will save that for a future ride so that he has something to look forward to. Despite the lack of sleep, I was excited about today’s ride, as I would be traversing the park from south to north. For five hours, with the exception of a handful of cars, I had it all to myself and it was spectacularly beautiful. After a short initial climb, the route turned into a long slow descent into the Pinto Basin. 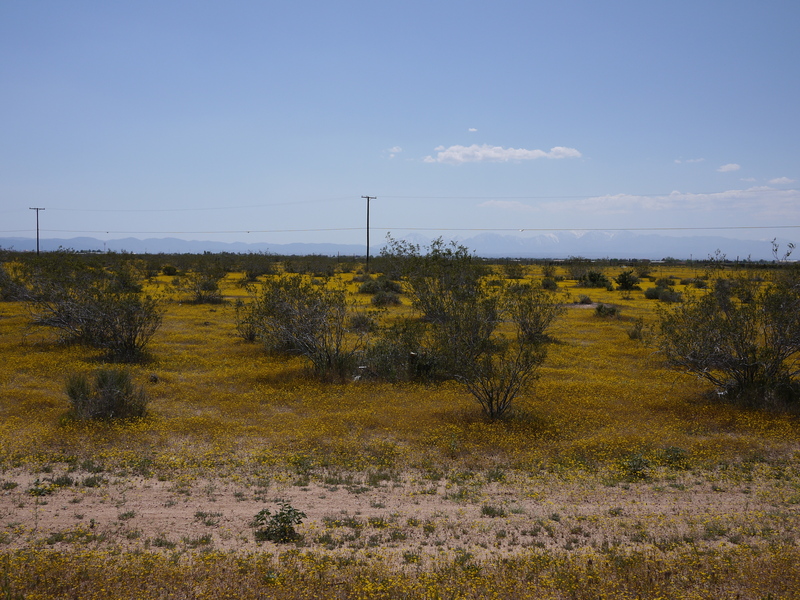 Yellow-flowered creosote bushes were everywhere along with red tipped ocotillo, dune primrose with long white tubular blossoms and yellow flowered brittlebush. As I sped down the mountain, I passed service roads running to the horizon looking like dirt contrails across the desert floor. 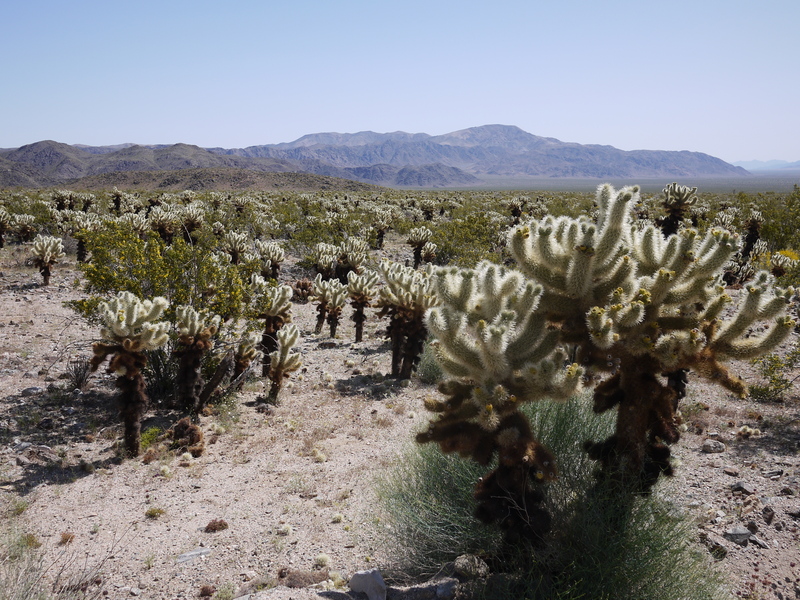 In one area there were several acres of cholla cactus with their hairy thorned covering. It looked like something from another planet. 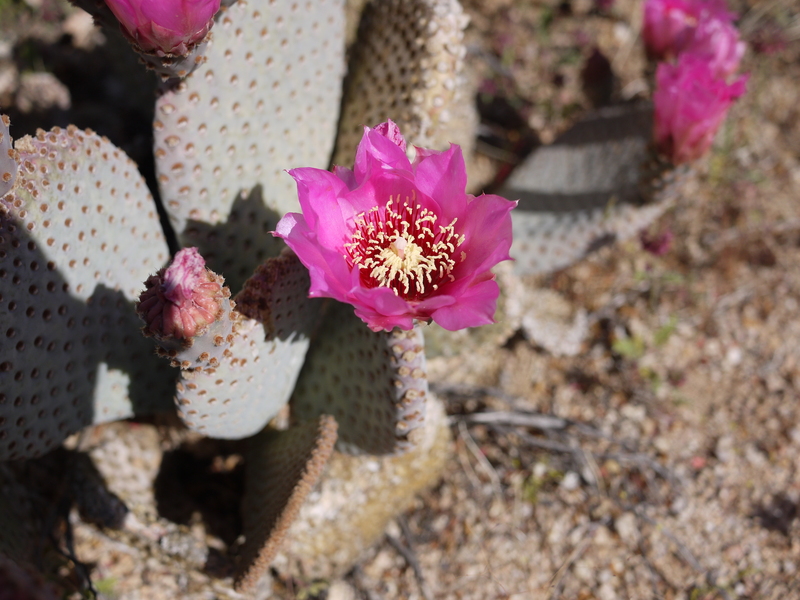 And, finally, as I climbed the 1,600 ft out of Wilson Canyon, I saw the plant for which the park is named – the Joshua Tree. An hour later, I had reached the summit of the northern boundary of the park and I coasted for miles enjoying the easy descent into Twenty Nine Palms. 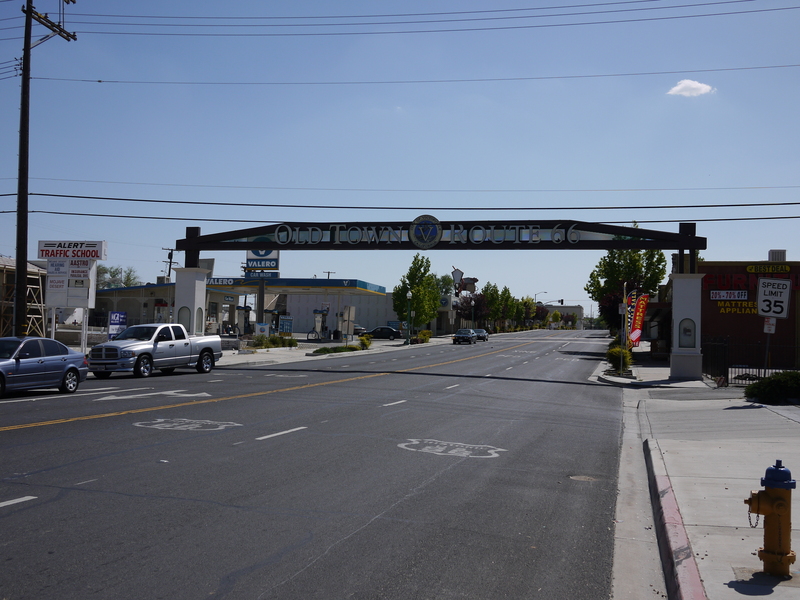 This is a military town that services the Marine Air Ground Task Force Training Command. I’ve lived in these places before in my youth. They all have the same feel; lots of flags and patriotic decorations, fast cars and motorcycles and young men with sidewall style haircuts. 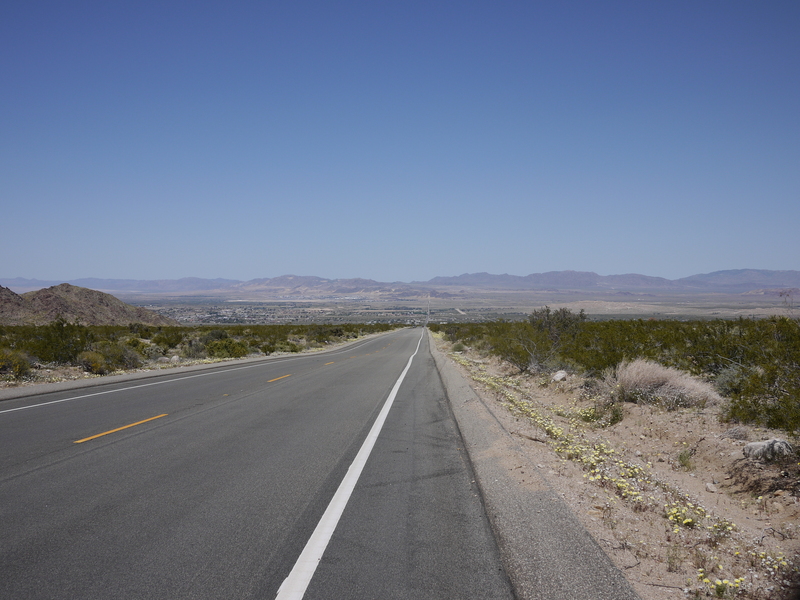 Heading west on Hwy 62, I turned into the hot, dry, dusty wind for another 20 miles before arriving in Yucca Valley. The end of another long day on the pedals. Not much to say about today. Drama left about 30 minutes ahead of me, as I needed to send off a couple of emails. 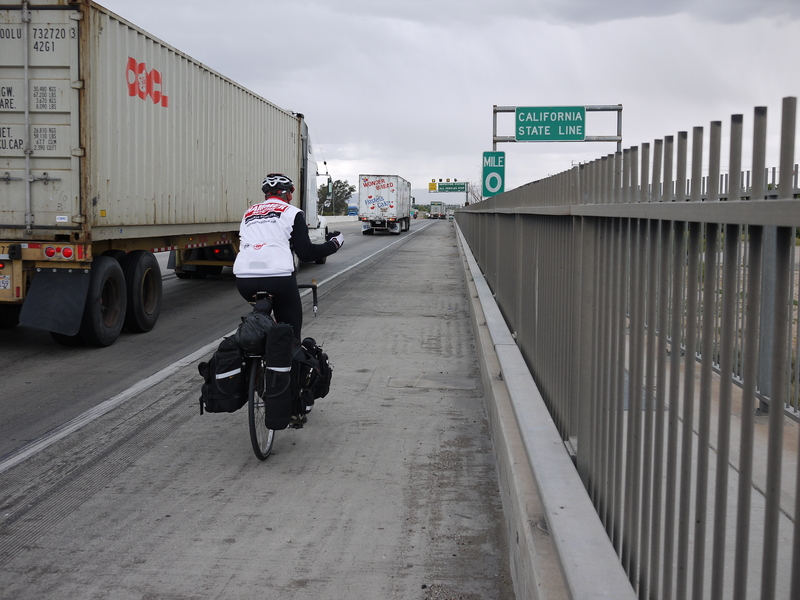 When I rode back onto I-10, I saw a sign prohibiting pedestrians and bicycles. I turned off at the next exit to see if it was posted as well – it was. I called the CHP in Blythe and asked them if there was any restriction on riding on I-10 as it is the only road to Joshua Tree. They confirmed that if I took the surface streets in Blythe to the last exit, I could ride on I-10 from there. Evidently, if a highway is the only roadway available to get to a destination, they are required to permit you access. Not that I was excited about riding on I-10 today, but that’s what we did for 62 miles. 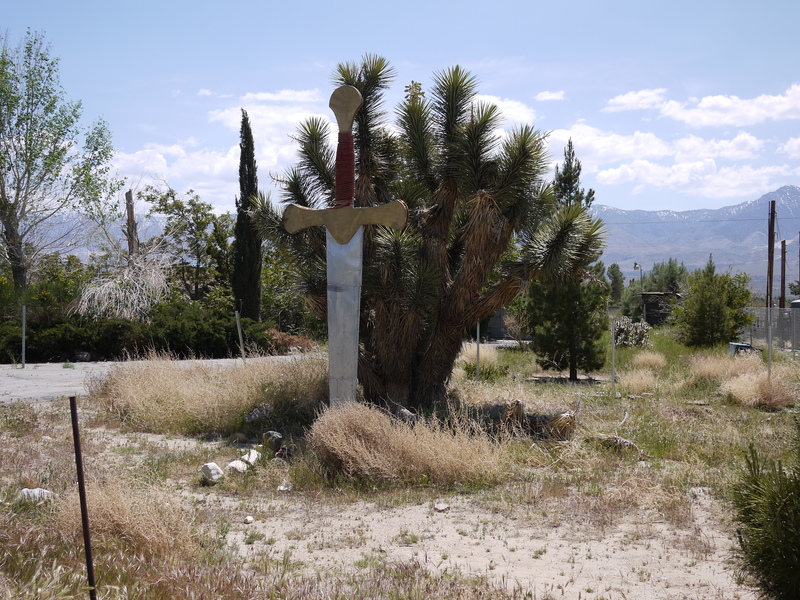 I caught up with Drama at a place called Desert City and we had lunch at a café, the only remaining business in what was once a thriving vacation community back in the 1930s. A few miles later, we stopped for a drink at Chiriaco Summit, which has a gas station, mini-mart and, of all things, the General Patton Memorial Museum. 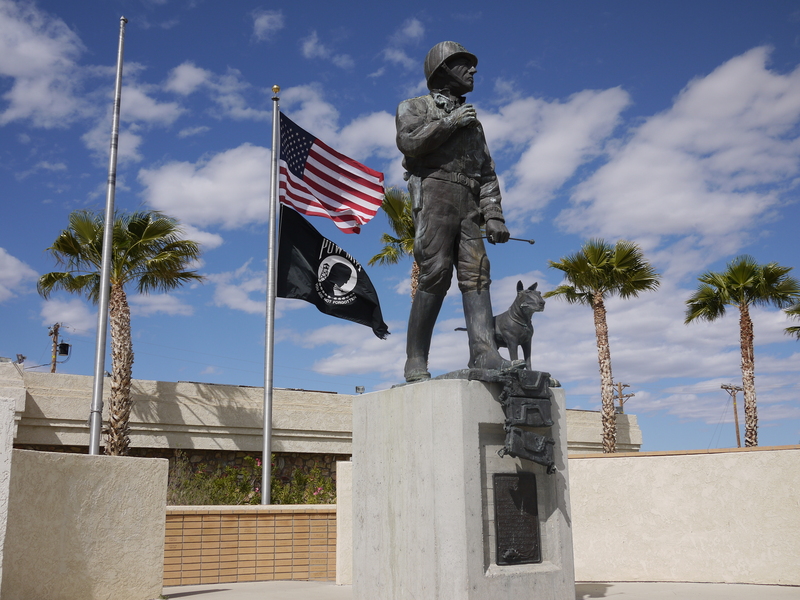 The museum was established because Patton set up an Army desert training center here during WWII. At one time it housed almost 200,000 troops. 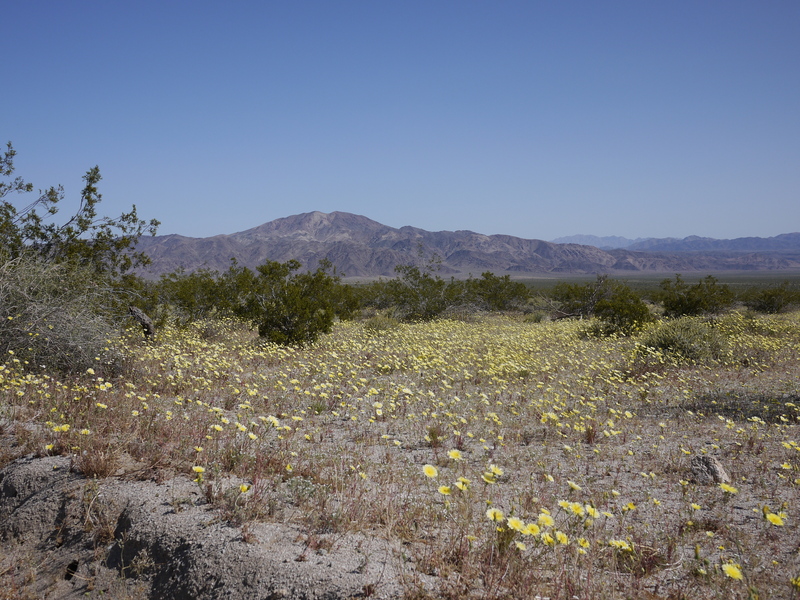 A few miles later, Drama and I exited the freeway to Joshua Tree National Monument. After a seven-mile climb, we reached Cottonwood Springs and our campsite. I visited Joshua Tree ten years ago to do a bit of climbing, but this will be the first time I’ve been through the park and I’m looking forward to it. 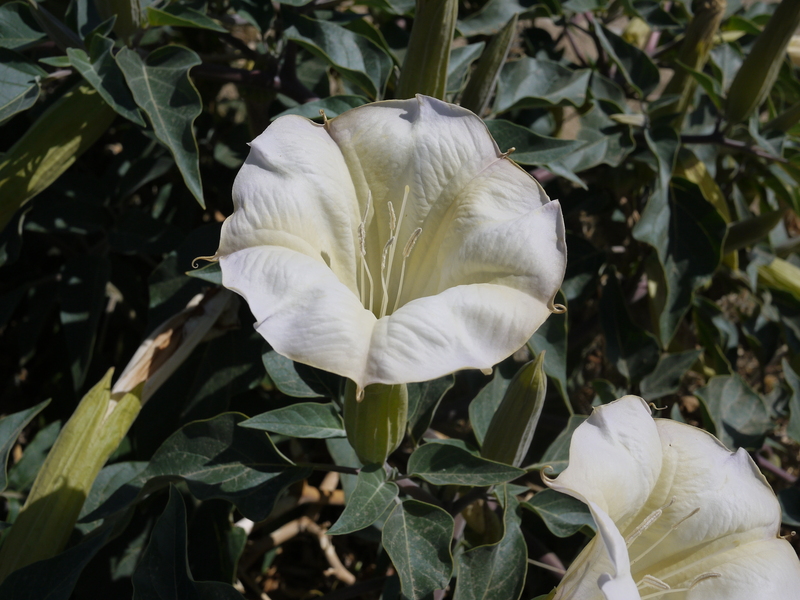 After dinner, Drama and I walked down to a small amphitheater in the campground and listened to a ranger give a presentation about a day in the life of the Cahuilla Indians who lived in this area 1,000 years ago. It was an interesting talk. 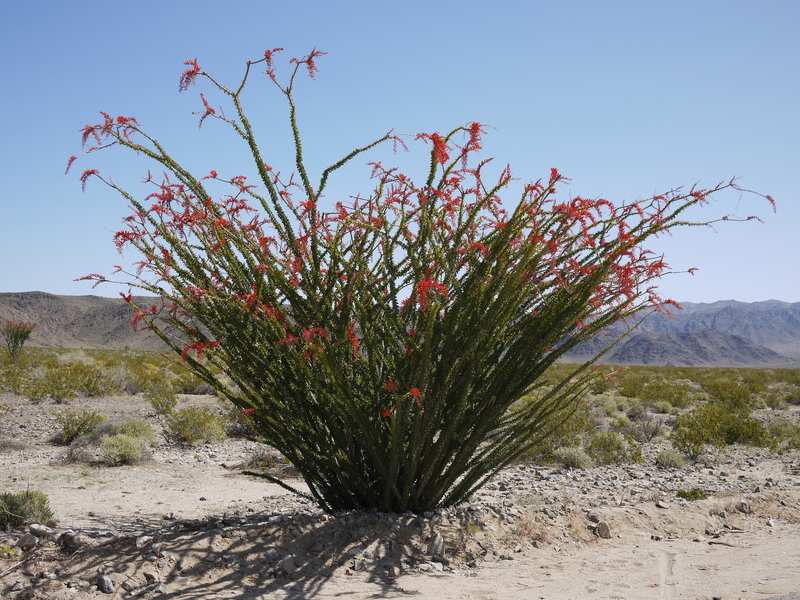 While speaking about the local fauna, the ranger informed us that the scorpions in Joshua Tree are nocturnal and that you need to use a red piece of plastic over your head lamp if you want to catch them, as they can’t see the color red. Which leaves me with two questions from this little bedtime story: Who carries around a piece of red plastic? And, more importantly, the obvious question: Why would anyone want to catch a scorpion? We left the (non) luxurious Sheffler’s hotel in Salome under cold, grey skies and intermittent rain. We silently rode through Harcuvar and Hope on Hwy 60 angling toward Interstate 10 to the south. Surrounding us were a collection of buttes and mesas with a jagged mountain backdrop. The grey haze made everything appear like the silhouetted paintings of the southwest that you see in your local art festival. For much of the ride today, I held back and let Drama ride far ahead. I wanted him to enjoy the solitude of riding alone through the desert – it’s something special. Near Hope, we met a couple from Switzerland who are biking to the Grand Canyon from Southern California. A few miles later, we met Neil who is riding to Gainesville, Florida after a tour of the northern U.S. last year. Neil rides extremely light and fast, covering 80 to 100 miles per day with only two saddlebags of equipment. 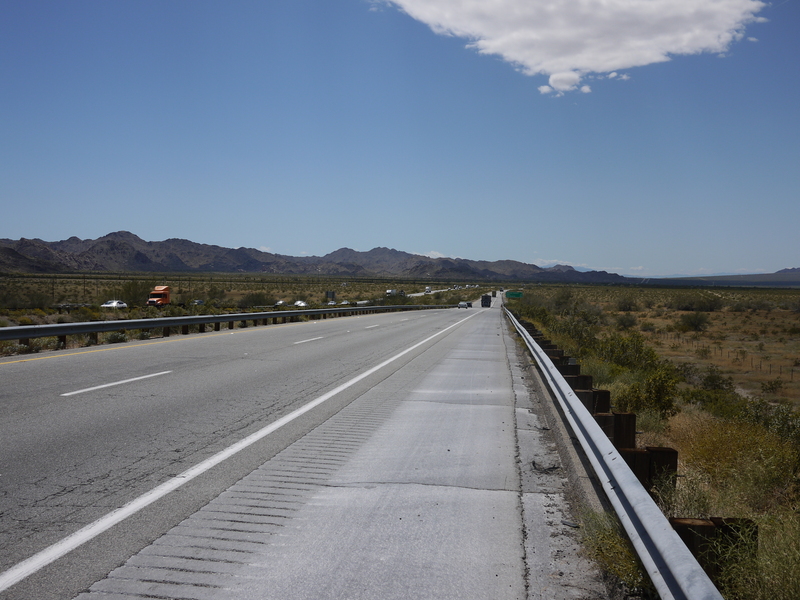 A few miles past Brenda, we joined Interstate 10. Riding on the interstate is an entirely different experience. Although the shoulder is wide and smooth it is filled with terrestrial jetsam; broken bottles, used diapers, plastic water bottles, fast food bags and wrappers – a minefield of debris. 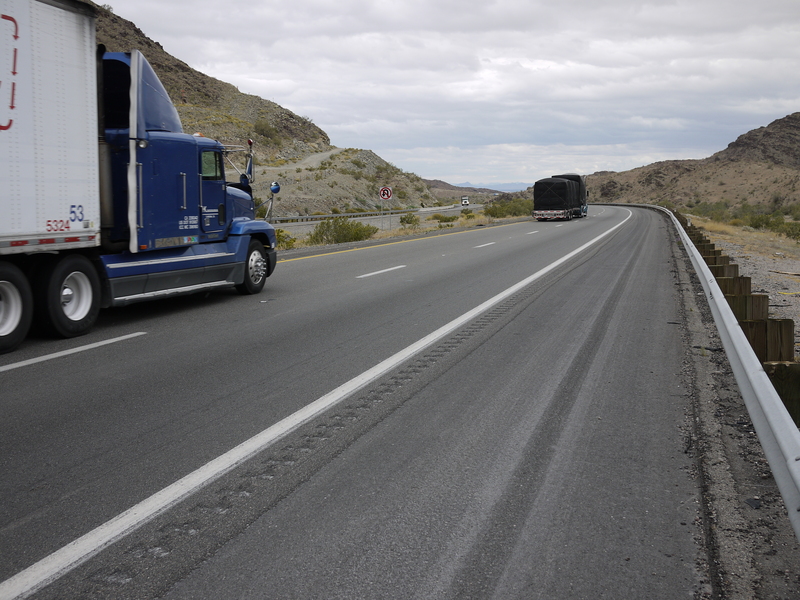 A bigger obstacle is the shredded tire treads of 18-wheelers looking like black skinned snakes writhing across the roadway. 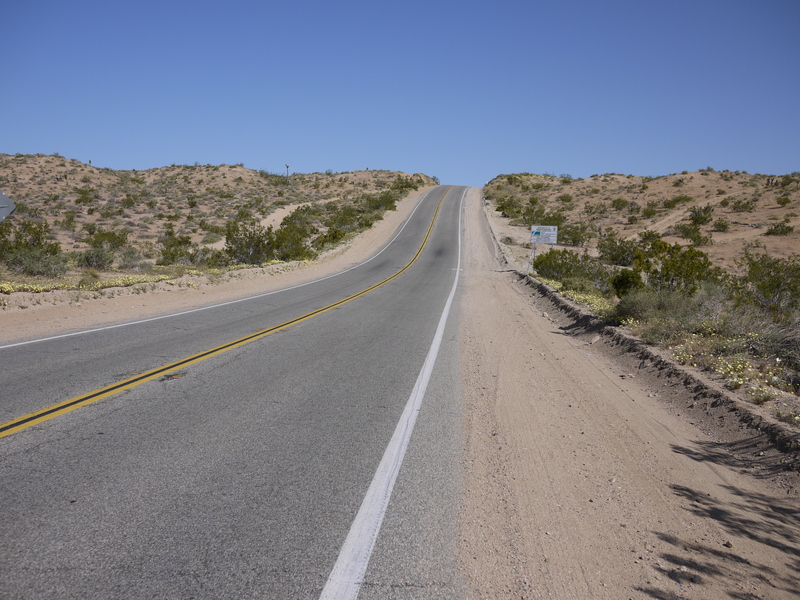 For much of the ride from Quartzsite to Blythe we had a very steep descent. Navigating through this was a challenge as were the trucks speeding by only a few feet away. The sound reminded me of the third turn at Indy, a high-pitched drone and then the buffeting of the wind behind the rig. We learned that this “dirty air” at least helped to break up the constant headwind we again faced today. In mid-afternoon, I crossed over the Colorado River and into California after almost two months away. I would be lying if I didn’t admit to feeling a bit emotional. Tonight, I will be looking at the map and planning the remainder of the ride. I had originally planned to ride up Hwy 395 and over the Sierras, but due to the snowpack, that won’t be possible. Instead, I’ll likely angle over to the Pacific Coast from Joshua Tree National Park (our destination tomorrow), but I’m not yet sure of the exact route. Like Keb says – there’s more than one way home.